Just a quicker than usual post today. 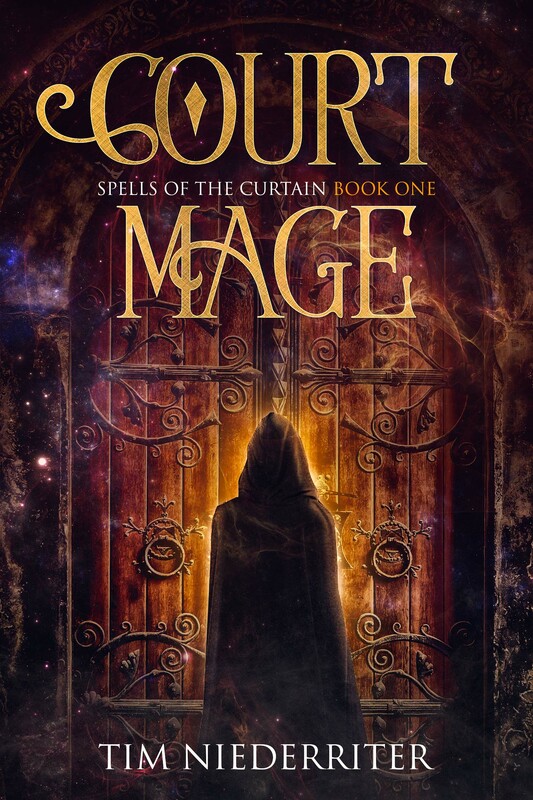 Book one in Spells of the Curtain, Court Mage is free today and will be until Friday. Get the book here, and check out the deals on the next two books in the series as well. It’s the Holiday Season, and though I’ve been known to grinch it up in my personal life from time to time, I actually kinda like December despite the cold that pervades these parts. Also, it’s this time of year I look back on what I did in the past 12 months. I’m pretty happy with the progress I made in my writing and publishing career. First of all, I released Tenlyres III and a new edition of the complete tale. Things get a little muddled for me after that as I worked on Clean/Root Conspiracy Stories which haven’t done very well in attracting an audience. I finished and released four stories in that series, but sadly I don’t think they’re resonating with enough people despite good reviews. However, I also released six novellas in my Spells of the Curtain fantasy series, and those have attracted a bit of an audience. I’m happy with how they’ve done. I released my first stab at a military science fiction story in Titan Games: Sacrifice, but I think future stories in that universe will have to be novels just because of how I want to handle things. Last but not least, I have one more launch coming this year. On December 19th the first book in my Pillar Universe series will release. Entitled “Storm Fleet” I look forward to seeing how it connects with space opera readers, especially. So, save the date. Have some links. Seven minutes and I’m out. Have a safe season. Fire Mage is proving a beastly challenge, even now. I can promise it will both shock and entertain when I release it, however 🙂 I haven’t been this excited for a Curtain book since the first one dropped. Not much longer, and it will. be worth the wait. In the meantime, don’t forget to check out my other books in the series if you haven’t already. Here is the series page on Amazon. Spells of the Curtain Book 6, Fire Mage is going to be long, and likely going to become a novel, rather than a novella. There. Thought I’d get the big shift in news out of the way first. The book just doesn’t want to be contained into 100 pages, and it may be even longer than book one in the end. I struggled with this fact for a while, but I think it’s for the best. As a result, it will take a little more time to release, but I should definitely have it out this month, alongside another book in a new science fiction series, and a short story or two for my military space opera series, Titan Games. Happy NaNoWriMo to all fellow writers. This seven-minute blog is dedicated to you, whether you’re new to the craft or old hands at it. I have some time left, so allow me to be clear about something else. I have had some serious depressive phases recently, mostly relating to the book and my failure to get really deep into it as a novella. I’m getting better with some help from my friends, but it’s always tough to handle these flare-ups. If you suffer from depression, get help. Your mind is 90% of what you’ve got in most cases. Thanks for reading, and hopefully I’ll be back soon with good news and new books. This blog has been a seven-minute sprint. Check the links for my podcast if you want to hear more, and as always check out my books if you want to support me or just read some good speculative fiction. Hello, everyone. I hope you good readers are all doing well. I have been having trouble keeping up with my release schedule, so Spells of the Curtain: Fire Mage (Book 6 in the series) is going to take a few additional days to release. Expect the release around Halloween instead of the 25th. Thanks for your patience. Also, going forward please be patient as I think I will need to slow my release schedule for future books by a few days per book. Life is going alright for me right now, but it’s not without difficulties and my ADHD has been a greater challenge lately than in the past. Spells of the Curtain Book 5 Released! I’ve been remiss in announcing the latest release but seeing as I’ve begun work on book 6 in earnest, I suppose it’s a good idea to formally announce the release of book 5, Traveling Mage, on this blog. Yes, book 5 of the Spells of the Curtain series is live, and it has a LOT of adventure in it, considering its small size. Edmath and his allies travel to the northern coast of the empire to investigate a strange sign. What they find has the possibility to change everything going forward. If you haven’t picked up the other books in the series now is as a good a time as ever. Check out the series page here. I always mean to post more here, but I hope you will indulge the brevity I have here. There is fiction to be written, and I must get back to it.